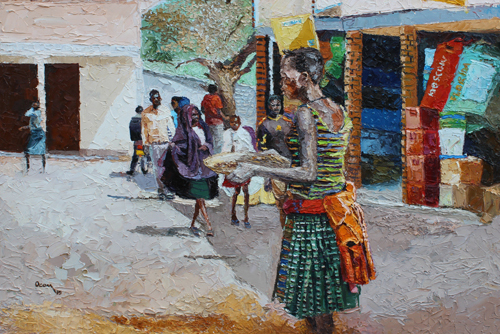 The figurative artist and photographer Ocom Adonias, was born in Kireka in 1989. 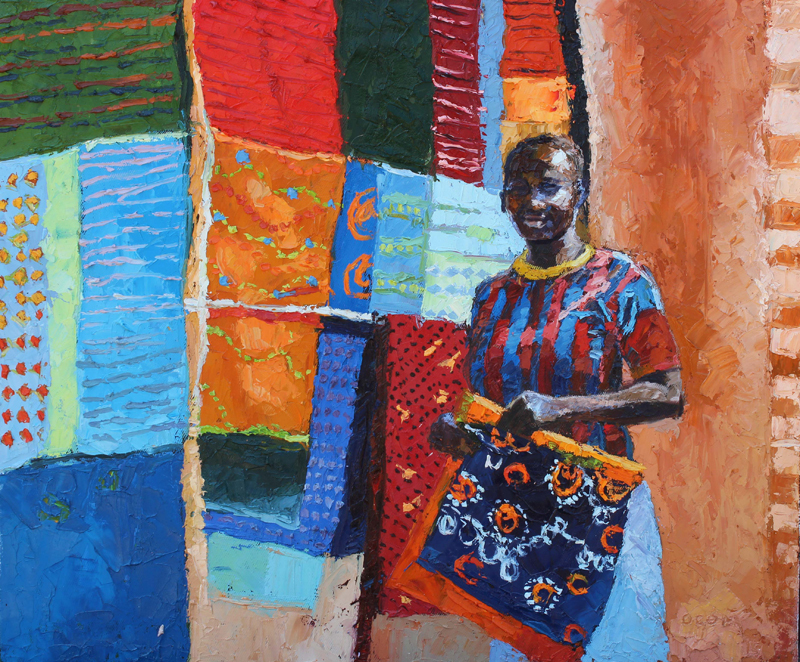 As his first tutors, his father and elder brother introduced him into the world of arts and greatly inspired him. 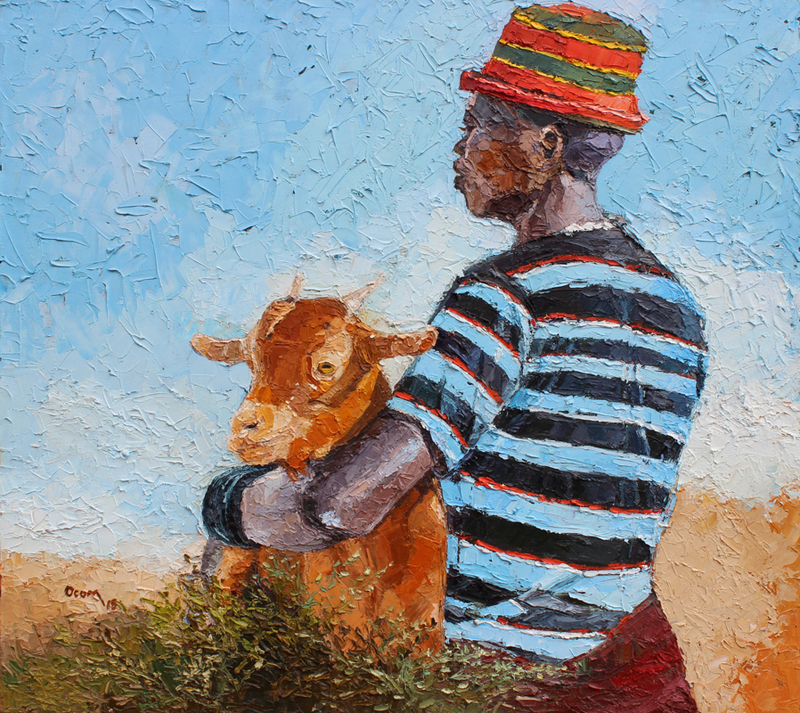 His love for sculpture and painting evolved in Namilyango College and was heightened at St. Henry’s College Kitovu. 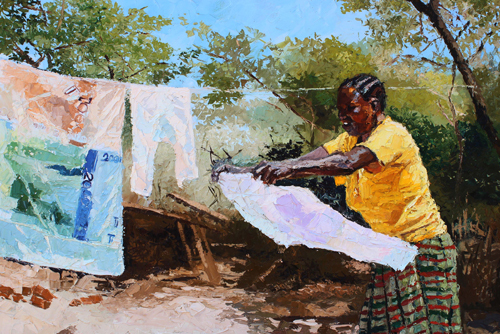 In 2013 he graduated from Margaret Trowell School of Industrial and Fine Arts at Makerere University as a water colour major. 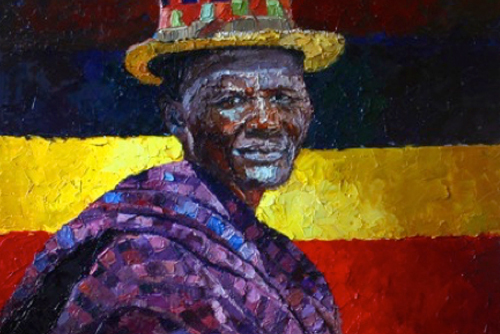 The education at this school greatly influenced him as he learnt about the art and language movement of great artists such as George Kyeyune and Taga Nuwagaba. 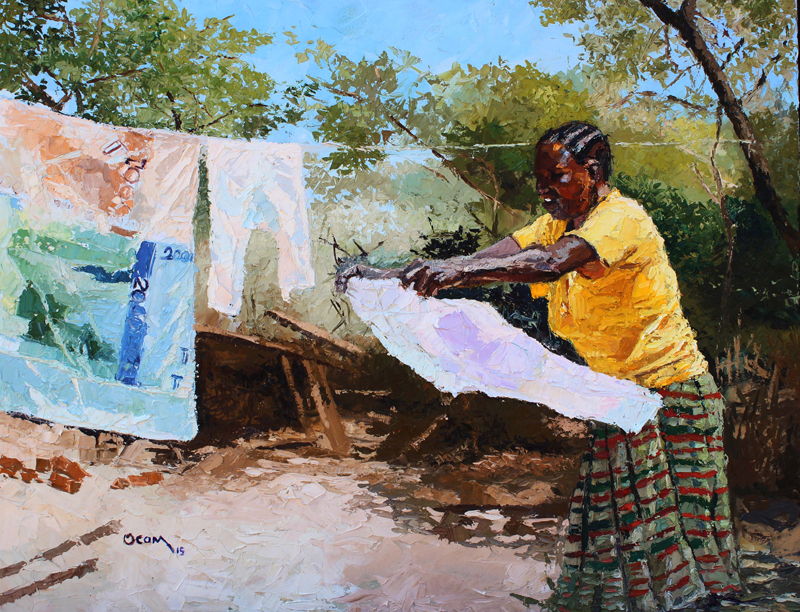 Ocom has worked as a photographer too before he decided to concentrate on his painting career. 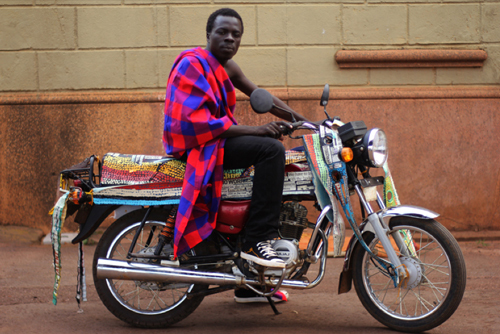 He has participated in third CSO exhibition at Hotel African after his graduation. 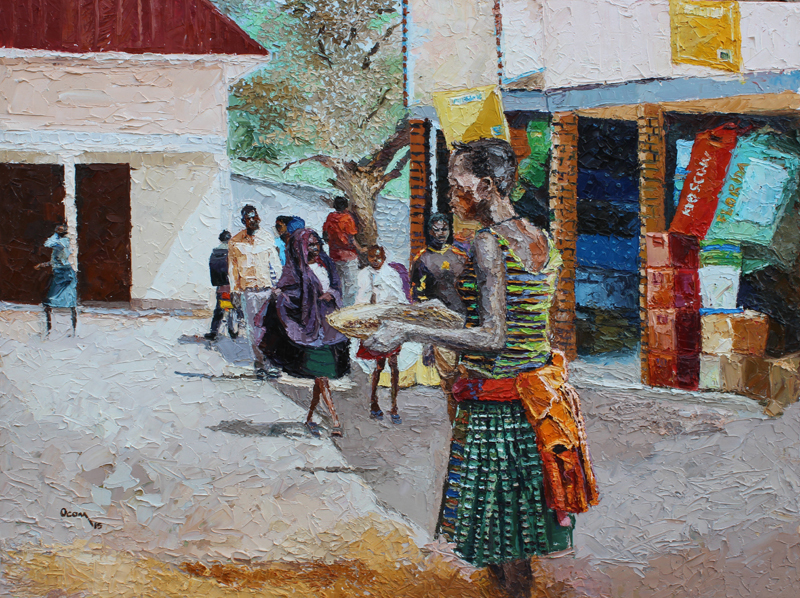 In 2014 he participated in the Sadolin Mabarti Art Challenge and emerged a winner for which he was awarded an exhibition in the Uganda Museum. 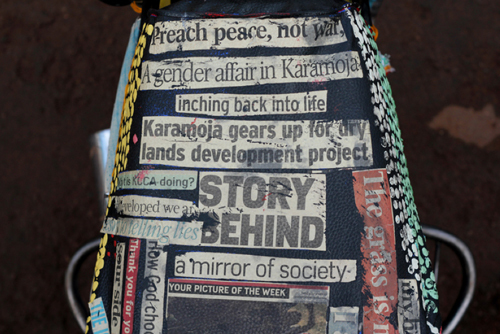 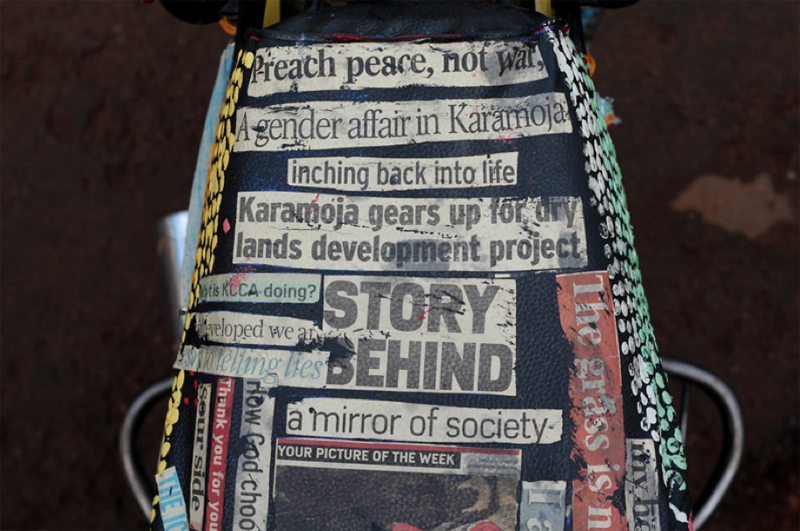 He also participated in KLAART 014 where twenty young artists where chosen to do an art work on Uganda’s commonest means of transport the BodaBoda for which he engaged the Karamojong street beggars in a performance and was highly applauded for this by Ugandan leading Magazines like the Independent Magazine. 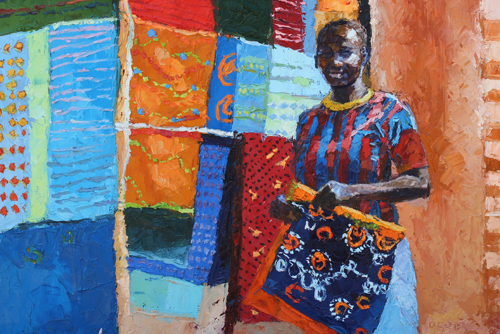 He wrapped up last year with a group Christmas exhibition at Makerere Art Gallery. 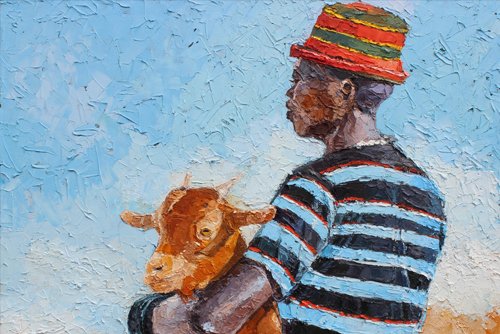 He is also proud to have his work grace the cover of Uganda’s Arts Diary 2015. 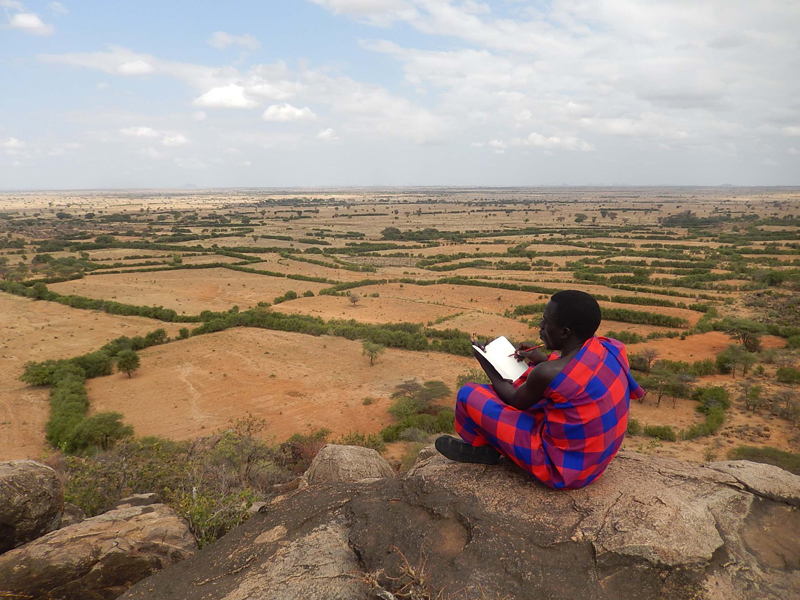 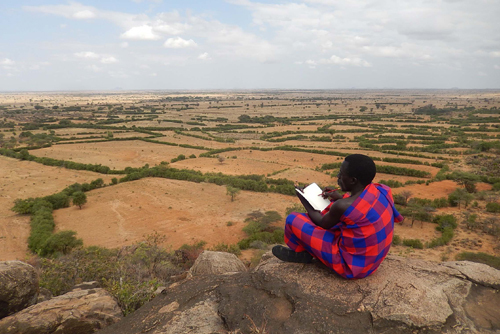 He is currently doing an art residence at 32° East | Ugandan Arts Trust under the theme Teso-Karamoja after a research he did in Kotido Karamoja. 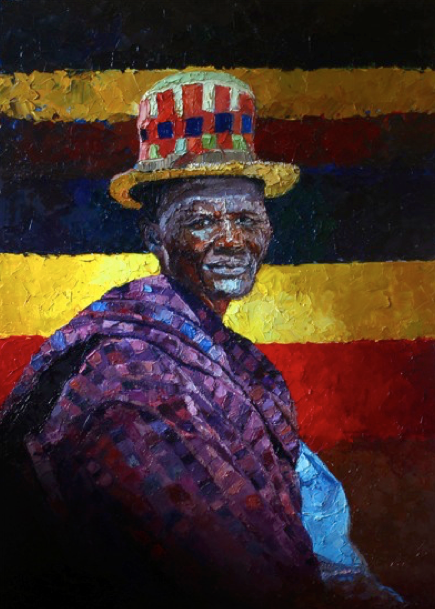 His work can be seen in Afriart Gallery and Diani Beach Art Gallery.